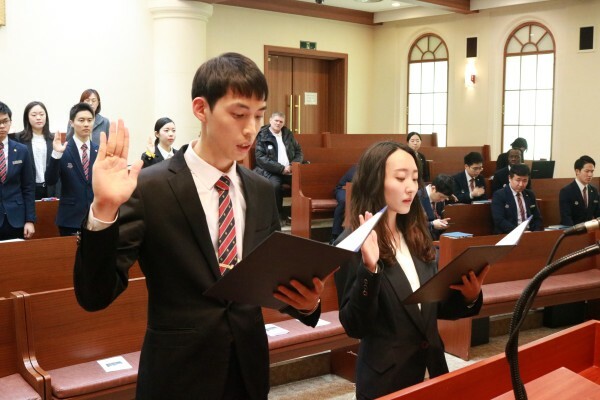 3.4(월) 선학UP대학원대학교, 본교 채플실에서 “제16회 선학UP대학원대학교 입학식”이 진행 되었다. 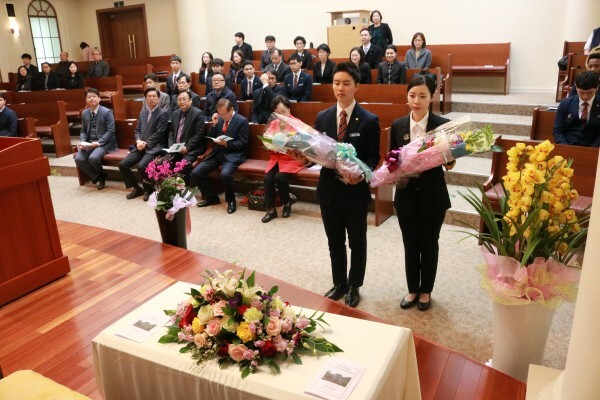 이번 입학식에는 석사과정 13명(사관생도 6명 포함)과 박사과정 5명으로 총 18명의 신입생이 입학했다. 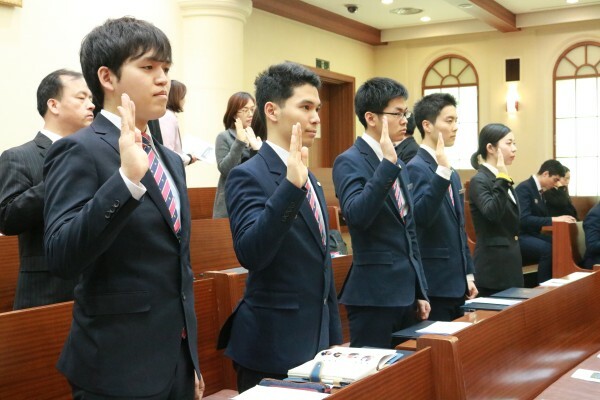 황진수 기획사무처장의 사회로 시작한 이번 입학식은 사회자의 개회선언을 시작으로 하여 결의를 담은 신입생의 선서가 이어졌다. 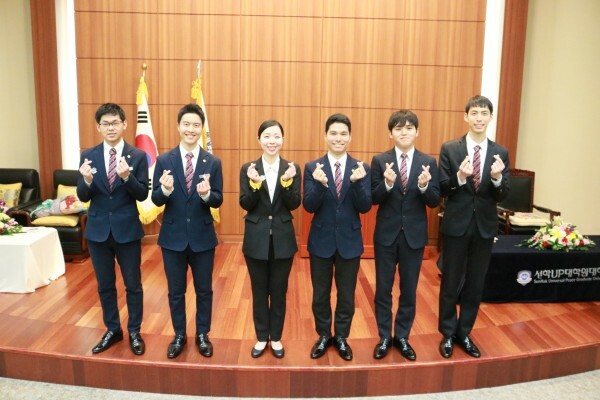 샐로버 총장의 입학 허가의 선언과 입학식사가 진행 되었으며, 김항제 이사장과 이기성 회장의 축사로 신입생들의 입학을 환영하는 은혜로운 입학식이었다. 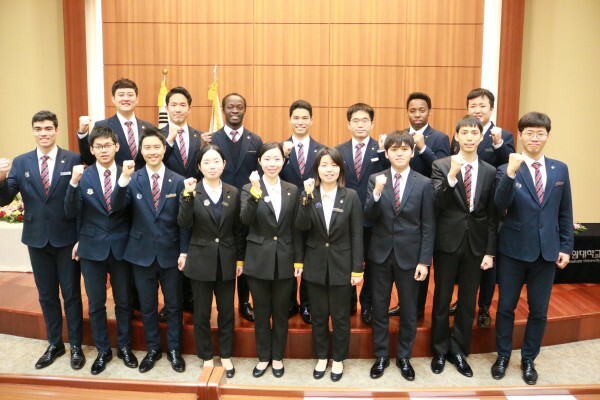 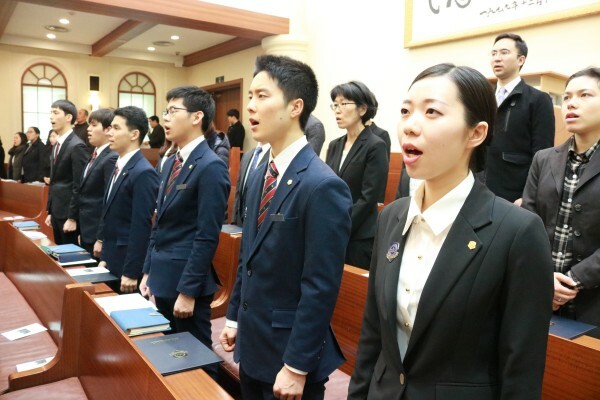 On March 4th, the "2019 Entrance Ceremony" was held in the chapel room of Sunhak UP Graduate University. 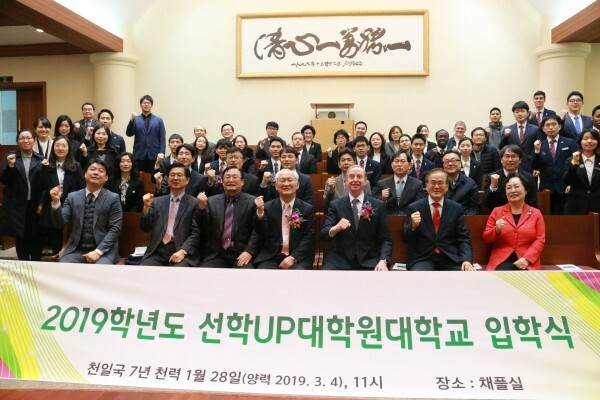 At the entrance ceremony, a total of 18 new students, 13 master's courses (including six UPA students) and six doctoral courses, entered the school. 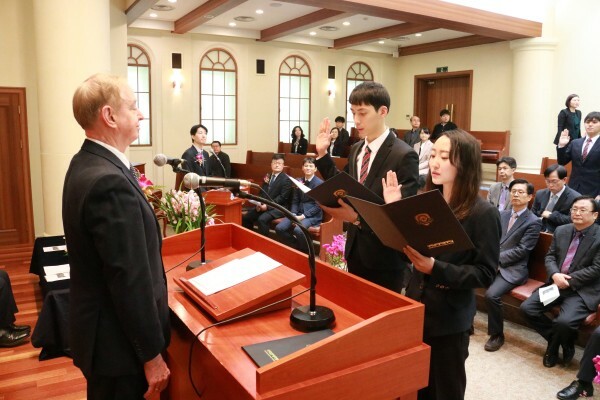 Starting with the words given by Huang Jin-Soo, the Director for General of Planning and Coordination Bureau, the entrance ceremony was sworn in with determination. 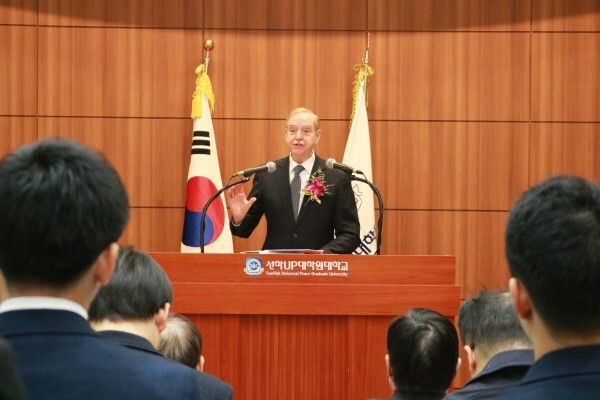 President Thomas Selover declared the admission of the students. 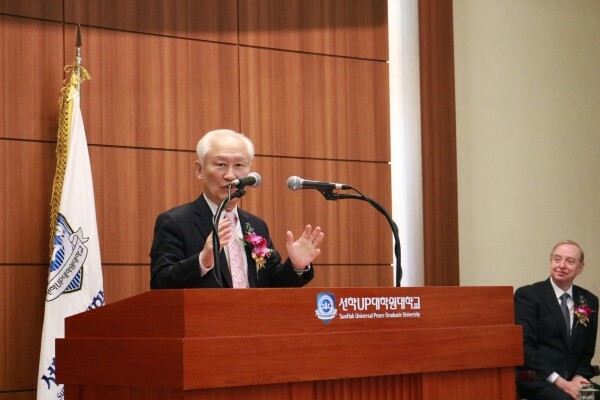 Director Kim Han-Jae and FFWPU Korea President Lee Ki-Song welcomed the new students with a big honor.